Grizzly Jig Company - Gulp! Alive! Attractants → Berkley → Gulp! Alive! 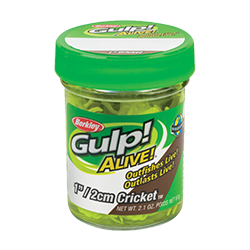 Gulp Alive absorbs 20% more attractant than regular Gulp. Available in crickets and maggots.